Located in Canning, in the Annapolis Valley of Nova Scotia. The vines benefit from the moderating effects of the water and visitors to the winery can enjoy the views. 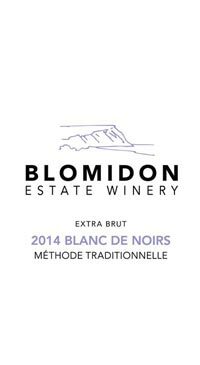 Blomidon is committed to producing 100% Nova Scotia grown grapes and wines. They produce a selection of white, red, rose and traditional method sparkling wines in many styles. Simon Rafuse, who has and made wine all over the world is the talented winemaker at Blomidon Estate Winery. Made in the Méthode Traditionelle from mainly Pinot Noir with a splash of Pinot Meunier. 30 months in tirage. Elegant and lively mousse, textured palate with soft acidity. Notes of baked apple, almond, and spice. Extra Brut.